What Is "Insufficient Number of Credit References?" When you're denied for a credit card, loan, or other credit-based product or service because of information in your credit report, the creditor is required to send a letter letting you know the reason or reasons you were denied. This adverse action notice should come in the mail 7 to 10 days after you've filed your application. There are many different reasons you could be denied, one of them being "Insufficient number of credit references." This note means that you don't have enough credit accounts on your credit report to meet that lender's qualifications. This situation – having very few credit accounts on your credit report – might also be called a "limited credit history" or "thin credit file." 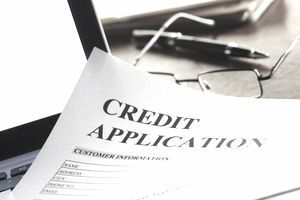 Different creditors and lenders have different requirements for the number of credit accounts you need to have before they'll approve your application. Some may approve you without any accounts (or references), others may require you to have more than three. You can be denied for not having enough credit accounts, even if you have a pretty good credit score. Though you probably won't have excellent credit with only a few credit accounts on your credit report. The adverse action notice you received will also include instructions for ordering a free copy of the credit report that was used in the decision. You'll have 60 days to order a copy of this credit report. Make sure you get your report, so you can verify that all your open, active credit accounts are being reported properly. Viewing your credit report will also confirm the number of accounts you have on your credit report. If you're denied because of "insufficient number of credit references," you'll need more positive credit accounts on your credit report before your application can be approved at that institution. Because creditors' requirements vary, you may get approved at other bank or credit card issuer even with the same number of credit accounts on your credit report. Consider shopping around with other lenders. To build up your credit when you have a limited credit history, consider a retail credit card or secured credit card, which requires a deposit. Becoming an authorized user, getting a joint account, or applying with a co-signer are other options for building up your credit so you can qualify alone. Be careful that you don't apply for too many credit accounts at one time in an attempt to add more accounts to your credit report. It could have the opposite effect and make it even harder to get approved, in the short-term at least. Lenders consider it risky when an applicant has several new accounts opened within a short period of time. However, as you manage these accounts well and pay on time, having these accounts on your credit report can work in your favor.